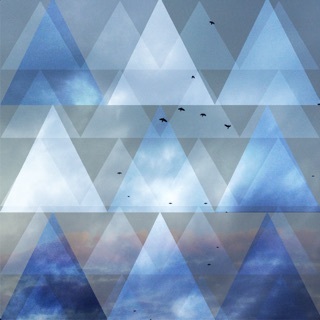 PhotoSplit is a nifty iPhone app that lets you create photo collages easily and intuitively. 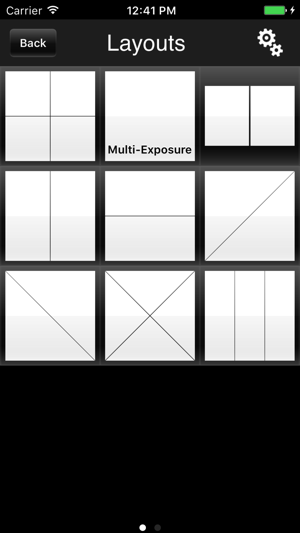 Choose from a number of layouts, select your photos, and upload to Twitter, Facebook, or Instagram. 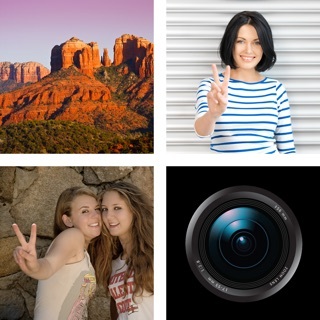 Try the special camera modes to easily line up your shots either as individual photos or as part of the entire collage. Composition has never been easier! If you want to make any adjustments, you can pan and zoom your photos to get the perfect layouts. 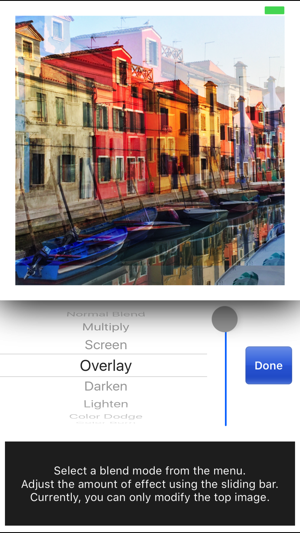 Last but not least, try the “Multi Exposure” modes that let you blend several photos at once! You will be surprised by what you can come up with! -Multiple exposure mode + 16 blend modes, with immediate result preview! -Blend Modes: Multiply, Overlay, Soft Light, Hard Light, etc. 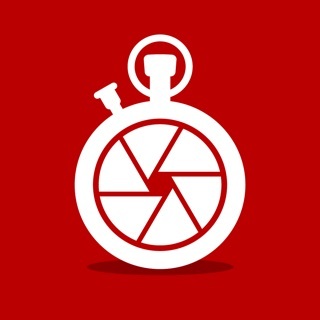 -Upload to your favorite sharing service (Twitter/Facebook/Etc), save to camera roll, or email to your friends! Thank you for your support! 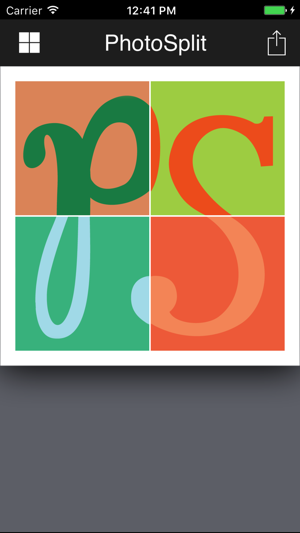 If you have comments or suggestions, feel free to contact us via Twitter @PhotoSplit (directly inside the app!). well put together! great entry into the crowded photo app category. Cool concept! I like being able to put together a collage of pictures and posting on facebook as one unified piece -- it tells the story better. 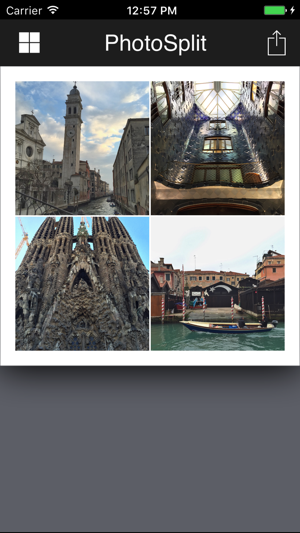 The program also works well with instagram and camera+ -- you can put a layout together, save it to your camera roll, then apply a filter or treatment using one of the other apps. The coolest feature is the blend option, although I probably will use that one the least. Buttons could be prettier. I'm sure that's coming in later versions. Overall, great app, and very well put together especially for the first version! Definitely worth the few bucks. Good idea, but really, location service?! Whatever... Bit of a hassle, but nothing to complain about. The app needs thinner frames and more options. Needs rounder frames... You know what I mean. More layouts for 3 photos!!!! There's only 1 or 2 of them in the app. Blending got better, so not bad. The apps improving, and you're starting to listen to my reviews. 5 stars for updating the app!!! Prior to this update the app worked fine for me. I loved it. But now, it seems bugged because I try to rearrange images (both with Constrain ON and OFF) and it seems try to focus on what it thinks is the focus of the picture, when I want an entirely different view. I'm not able to change the aspect of the picture such as zoom out since it cropped it. Also, no matter which way I position it, when it saves to my photo album the pictures are SIDEWAYS and stretched and blurry! Do NOT approve! Change this ASAP.